The picture below was featured on the BBC and I thought it was rather cool. 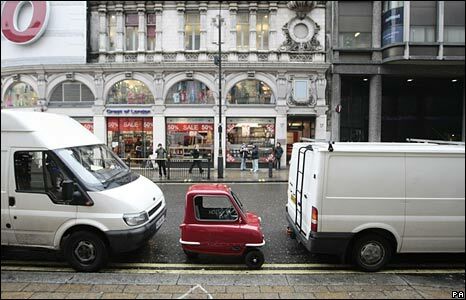 We’ve all heard that smaller cars are the next big thing and a big part of helping look after our environment with respect to carbon emissions, but this little car almost looks like a toy! Looking for our Eastern European road trip tracker? Click the tyre tracks! Need help using my Calendar plugin on your site? Are you in my address book yet? I've canned 3,720,670 spam blog comments so far and rising. I have a zero tolerance on spam! Who makes you feel the way that I make you feel?